Today I learned of sad news that a good friend of mine from the world of SharePoint has sadly passed away. Firstly and most importantly I'd like to pass on my thoughts and condolences to Dave's family. I knew of Dave via Twitter and we started to share things in common in our work as we'd blog about similar types of things. Dave was a well-respected MVP who was regularly on webcasts and blogging he became someone I looked up to and respected for talking to someone who was unproven at the time in the community - I salute you for that Dave! 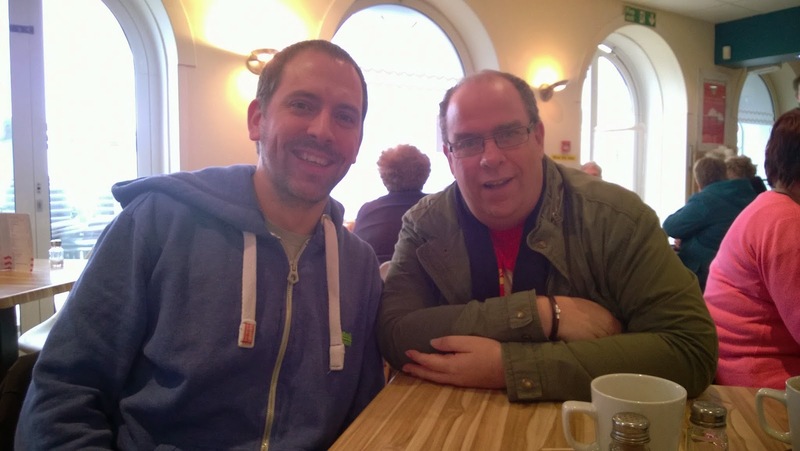 After a few months of exchanging messages on Twitter I finally got to meet the man that was Dave Coleman at a SharePoint Saturday however I really got to know Dave at a SharePoint Conference in Anaheim back in 2011. After every session we'd meet outside the front of the conference centre and Dave would always be at the same spot - later to be named 'Dave's Ashtray' on foursquare and his was proud to be the mayor! I further recall at one of the events held at Disney Land a group of us we're sitting having a beer when I looked round and Dave was choking to which I became very concerned. I asked 'Dave are you ok?' to which halfway through his choking fit he turned and said 'your funny you are!' and I didn’t realise I said anything funny but it tickled him. Since the conference Dave and I had stayed in touch and in February of this year when I heard of his illness I popped in to see him (ironic that a man who didn’t like the seaside lived within two minutes of Bournemouth Pier), little did I know that this was going to be the last time. I recently sent him a message on Facebook asking how he was and he replied saying he was ok, however more recently I'd noticed that he wasn’t very active on social media channels and again sent him a message and no reply. I asked another friend if they knew anything and they told me he was in hospital and I was about to send Sue his wife a message to say hello and was thinking about you as I went to do this I saw my Facebook feed and sadly I was too late. Dave, you were a true gent who I thoroughly enjoyed the company of. You have inspired me in my career and I can honestly say your inspiration has helped me be where I am today. Rest in peace Dave the world has lost a great man. Great tribute Paul. I remember him being the mayor of Dave's Ashtray at SPC11 lol! But I had forgotten about the choking incident. That was a little scary. The world has definitely lost a great man, may he rest in peace.